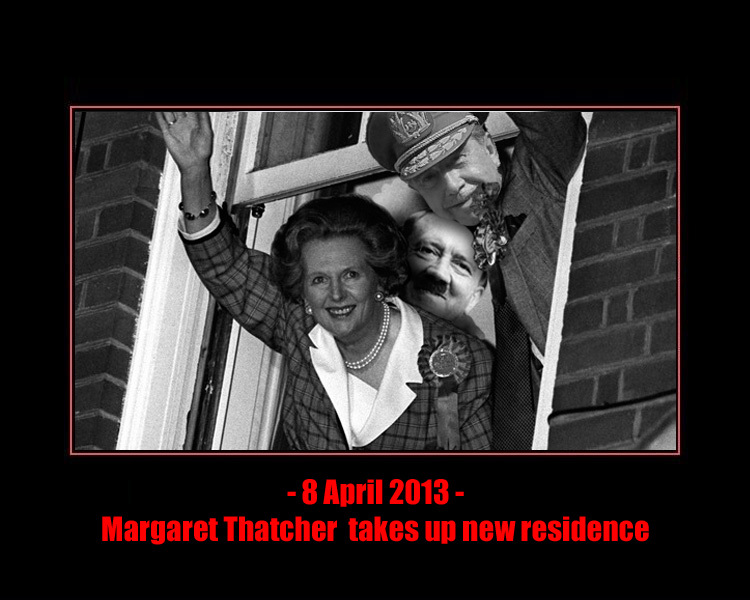 Thatchers new neighbours - Soviet-Empire.com U.S.S.R.
A quick picture i made to celebrate todays occasion. I understand why Pinochet( is that actually Pinochet or someone else? ) is there, but why Hitler? Not much reason for him being there other than he was also anti-union and anti-working class. Just done it as a joke really, not much philosophical input into it.